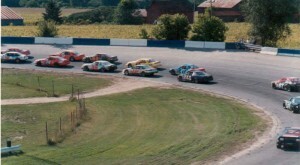 Delaware Speedway is one of Canada’s most historic race tracks. Staring as a 1/4-mile dirt track the speedway was later paved and then again expanded to the half-mile of today. 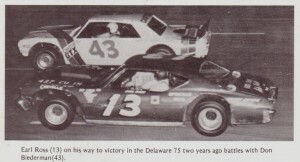 – Any photography from the early days of the track, especially the 1950s. – Photos (not from souvenir programs) after 1960. – Schedules showing the dates of events in that season. – Any printed program or trophy indicating who the champion(s) were in a season. – Promotional posters of significant races and weekly events. – We have access to plenty of photos after 1992, but anything earlier is harder to come by. – Stats from any season of racing (note: speedway stats are present for any season after 2000). Material dropped off at the track office should be in an envelope marked with your name, telephone number, and address on it. Please do not leave historic material in the mailbox.